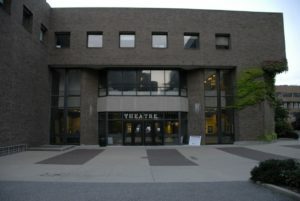 The Department of Theatre Arts will suspend admissions for any new students, according to an email sent to majors and minors on Friday by the department chair, John Lutterbie. Lutterbie went on to inform students that current majors and minors will graduate with theatre arts degrees, and the Fall 2017 and Spring 2018 semesters will go on as planned. He said the department will eventually become a service-only program, designed to teach lower division SBC requirements. Many faculty will likely be fired as a result of the cutbacks, Lutterbie wrote. “There are certainly many decisions the Dean [Sacha Kopp] and upper administration could have made to deal with their budget shortfall, this is the one they decided on despite, according to the Dean, positive trends in our department,” Lutterbie’s email read. Sacha Kopp, dean of the College of Arts and Sciences, did not provide a comment before the time of publication.